We are all moved in to our cozy end unit apartment on the 4th floor near Wylie and loving it! It feels like a vacation! With an elevator, nice views and no neighbors above, behind or next to us, it seems like a pretty sweet deal. Even the rabbit is enjoying the pool view from the balcony. So I've realized that with all of the moving we've done as a family over the last several years, I feel like I've become quite the unintentional expert packer! Efficiency becomes paramount when time is of the essence, so I've compiled a few tips that have really been a lifesaver on both my sanity and my pocketbook. 1. Organize your belongings in each room BEFORE you start packing into at least 3 categories: trash, donate and keep. Get rid of as much of the clutter and junk as you can! Schedule bulk pick up for the trash and call a local charity to pick up the donated items off your porch. This will save you a ton of time unpacking and you'll appreciate the extra effort on the front end. 2. Buy paper products. You'll want to have enough paper plates, plastic cups and plastic utensils to last a few days before the move and a few days after the move. Everyone's still gotta eat, right? 3. Pack a suitcase like you're going on vacation for a week. Just trust me. It makes trying to find your essentials so easy when everything else is still packed in boxes. 4. Remember those paper plates? Get a few extra foam ones when you're out shopping. This is hands down the easiest way to pack your regular plates and SOOOO QUICK and EASY! Just stick one foam plate in between each regular plate like you see below. I haven't had a broken dish in transit yet! 5. Buy some brown paper bags like you use for a sack lunch. Use that to pack your glasses. Open the bag, stick the glass in it and fold in the sides. Cheaper than buying a roll of packing paper and saves time, too! 6. Get a rolling clothes rack. I got mine from Wal-Mart for under $15. (Click here to check it out). Transporting hanging clothes from closet to closet is such a pain. I used to just throw them in the car, but then half the hangers come off or the clothes end up stuffed in a trash bag until I can hang them up again. The hanging rack was so simple. Just put it together, hang the clothes, roll to the U-haul and roll it to the new closet. Done. Helpful insight: don't completely overload the rack. I decided to try some packing peanuts with my mason jars. It would have been great if I hadn't tried to hand wash a few of the remaining glasses beforehand. I thought I had dried them well enough, but apparently not. The moisture caused the packing peanuts to stick to the glass like SUPER GLUE! May as well have been concrete. Ugh. Unpacking those was not fun and did NOT save me time. So, word to the wise...make sure your dishes are 100% completely dry. I hope that you have found these things helpful! We have been in our new place for about a week now and almost fully unpacked barring some clothes that still need to be folded and put away. Got any great tips for that? HA! 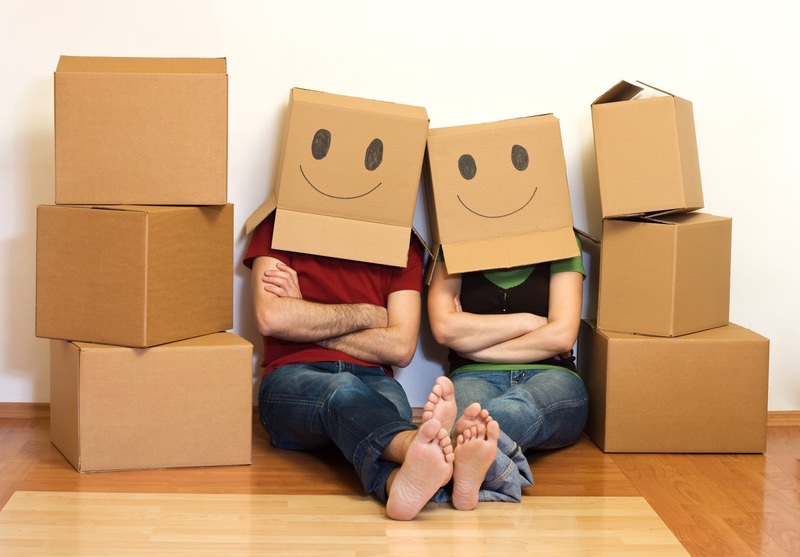 Anyway, if you are reading this blog, it's probably because you're moving, so GOOD LUCK!